Have you ever had a cup noodle, and wondered who came up with that idea? Or maybe you’ve always wanted to make your own version. 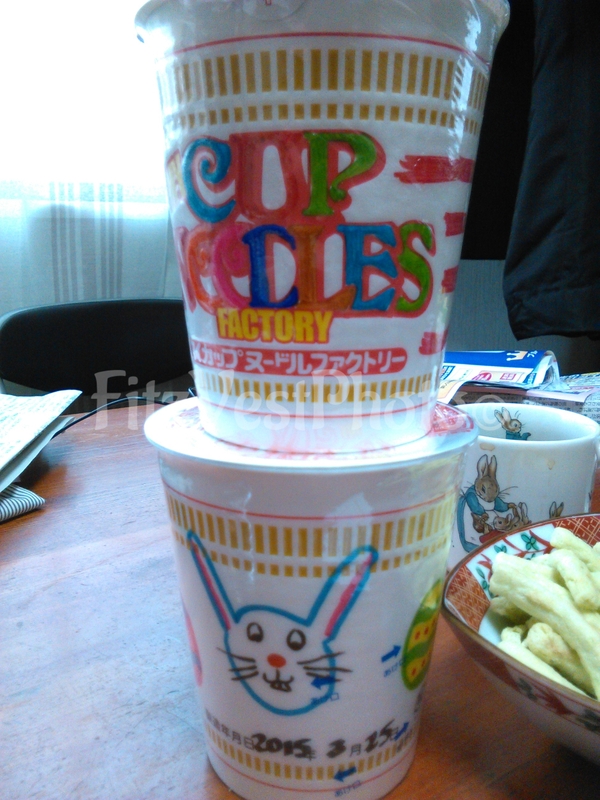 If you have, then the cup noodle museum in Yokohama is the place for you. If you haven’t, then it might still be worth a visit. We found it mentioned online, while having a quick browse about what to see when we were in Tokyo. With free entrance, it seemed like something we had to take out. We’d even heard we could taste noodles too. 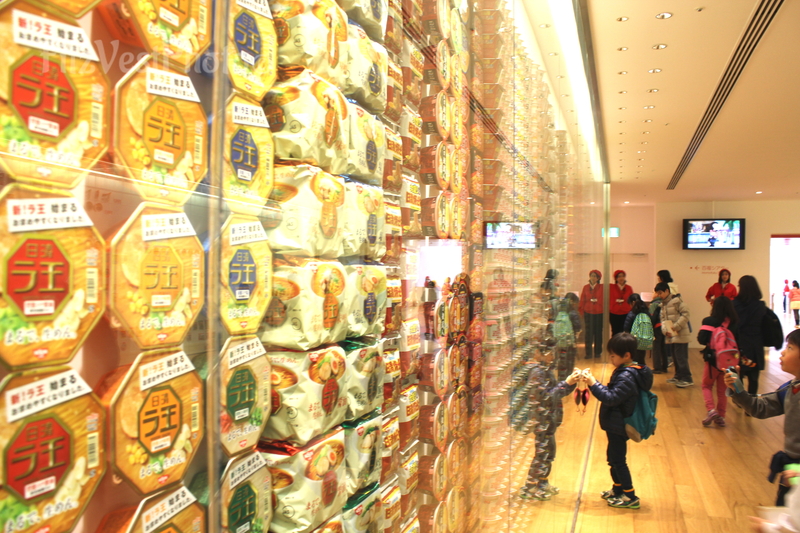 The cup noodle museum tells the history of Momofuku Ando who came up with cup noodles as we know them. How he turned to noodles, and experimented with how to dry them. Working the market, and figuring out how to expand to the west. Giving up his secret to drying, and cooperating with others who were trying to get into the business too. You can see all the different versions that have been through time. When you are done, it’s back into the next queue. You hand over your beautifully decorated cup and turn the handle when told, to place the dried noodle in the cup. (You can also read about why the noodles are made so the don’t fall to the bottom of the cup). 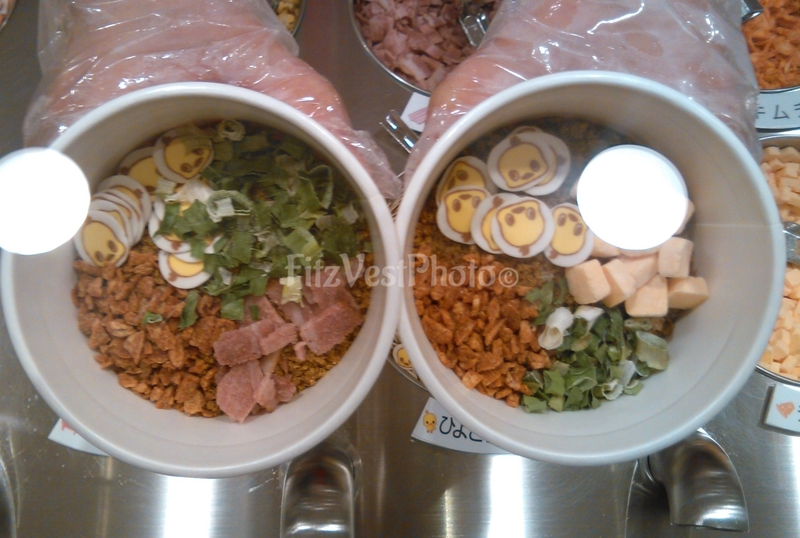 You then get to choose your soup flavour and 4 toppings. As you can see we had chosen chicken and they looked like little chickens (might have been because it was around Easter). You could then get it in a special protection bag, and you have your very own personal souvenir (though you might want to eat it within a month). 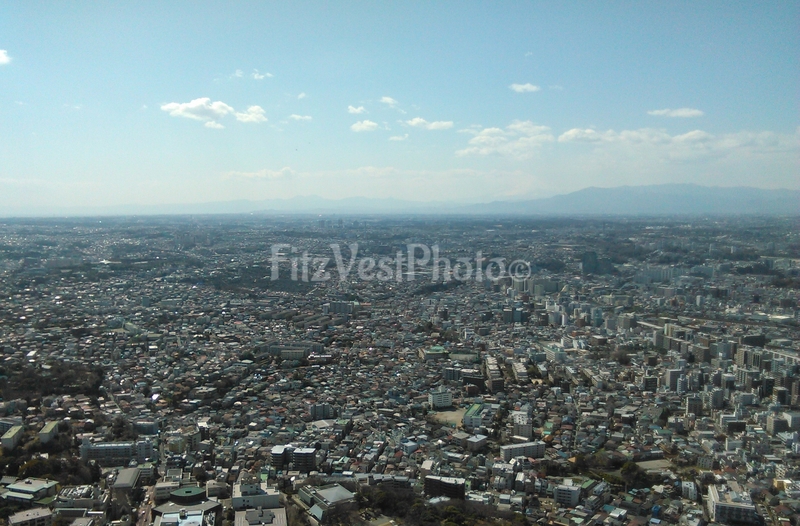 Before you leave you can go to the top, where there’s a bazaar. Here you can buy different noodle dishes and taste the various flavours from different countries. You could also start here of course, if you needed lunch first. Remember to just step out (if weather permits) and take a look over the area before you head down again and on to other adventures.